Dealing with an injury that sidelines you for several months is hard enough, but how do you plan your goals for when you return back to the asphalt? This is the predicament I'm in currently. I had goals for several distances pre hip flexor explosion, but now am left picking up the pieces of these unachieved goals and have no idea as to what my legs and mind are capable of anymore. The past few weeks I've been diligent to log no more than 10% increases in mileage and gently incorporate some "pushing the pace" segments into my runs while hitting 30 mile weeks. I'm scared to death of pushing too much too soon and getting injured. For "goal" race times I could just pick an arbitrary number, or I could be more scientific. 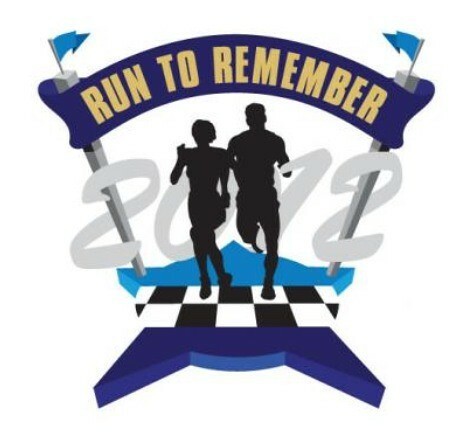 I just registered for 8th annual run to remember to see where I'm at physically after 4 weeks of somewhat solid training. After the 5k I will plug my time into the McMillan calculator to see what my "predicted" times would be for other distances and go from there. 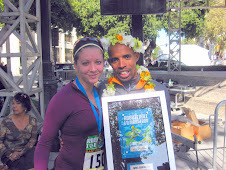 I also plan on hiring a super awesome running coach to help me focus and reach my potential as a recreational runner. How do you decide your time goals? How about after a lengthy injury? Good luck finding an awesome coach! When I came back from my 5 months off running, I just ran whatever felt right (and I had no pain, so I just ran a few days per week). And then I gradually added in some speed. And then I started with a 4K, and 8K and then a 10K, all within two months. Then I plugged the 10K time into the McMillan calculator and that's how I got an idea of what I wanted to do for my fall marathon. This sounds like a very sound plan to see where your current fitness puts you. I don't always have a method to my goals. Sometimes I just say "I want to do x" and just venture forward towards that goal. But coming back from injury it does make a bit more sense to have some type of logic of point a to point b to keep yourself healthy. I found a 5k on 4/29 in lincoln park that is only $25, it's called the spring fling. Races here are so dang expensive, this is the cheapest one I've seen in some time. I do my best to go by feel. I usually overestimate things and wind up needing to back off. I found last fall that picking numbers to hit was not the best thing for me to do...but it might work great for you! Stay healthy!